Each person’s Ensley narrative varies but the through-line boils down to this: Ensley is a proud and tight-knit community on the west side of Birmingham that once was a bustling steel-making industrial center with omnipresent smokestacks, industrial barns and sheds, shift whistles, train traffic, and massive blast furnaces. Because it was a 24-hour town full of shift-workers, many Ensley businesses in the early to mid-20th century were 24/7 operations. The jazz standard “Tuxedo Junction” is about a club at an Ensley streetcar crossing. Erskine Hawkins, a Birmingham native, is the composer of that tune. My favorite rendition is Glenn Miller and his Orchestra’s chart-topping 1940 big band arrangement. 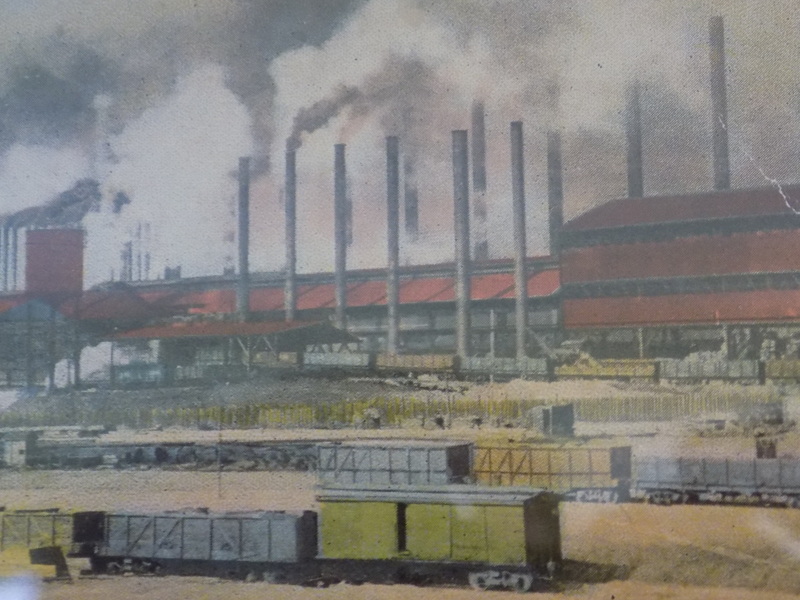 When U.S. Steel shut down its Ensley works in the early-1970s, the area’s population and businesses began to disperse. Today, ghosts of Ensley abound; much of the community is semi-abandoned and desolate. Birmingham media have a tendency to report anything that occurs in western Birmingham as happening in “Ensley” and you have the additional burden of a bad rep and the not always accurate impression of an abundance of crime. Crime is definitely a problem these days in Ensley but the community seems to get more blame than it deserves. Recently, when I was visiting my mother in her over-the-mountain Birmingham neighborhood, a local television news report was covering a recent shooting in “Ensley.” When the address of the crime was given Mother looked at me and said “That’s a Central Park address – why are they calling it Ensley?” For some reason any bad news from the west side of the city automatically gets attributed to Ensley. 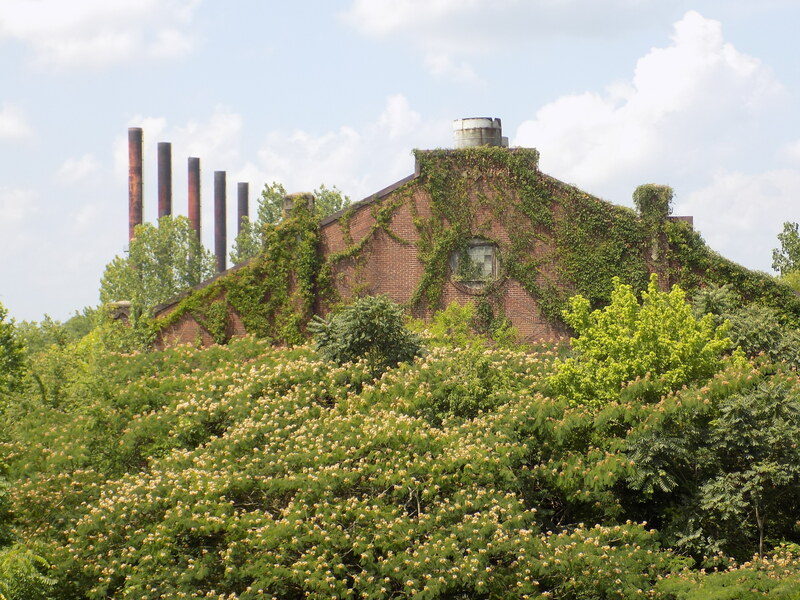 Katherine Webb’s 2014 article “Who Is Ensley?” in Weld (www.weldbham.com/blog/2014/01/29/who-is-ensley) provides a good overview of efforts to resurrect present-day Ensley from the challenges it has encountered since the steel mills were shut down. The article provides plenty of first-person evidence of the pride that still hangs strong in the community. 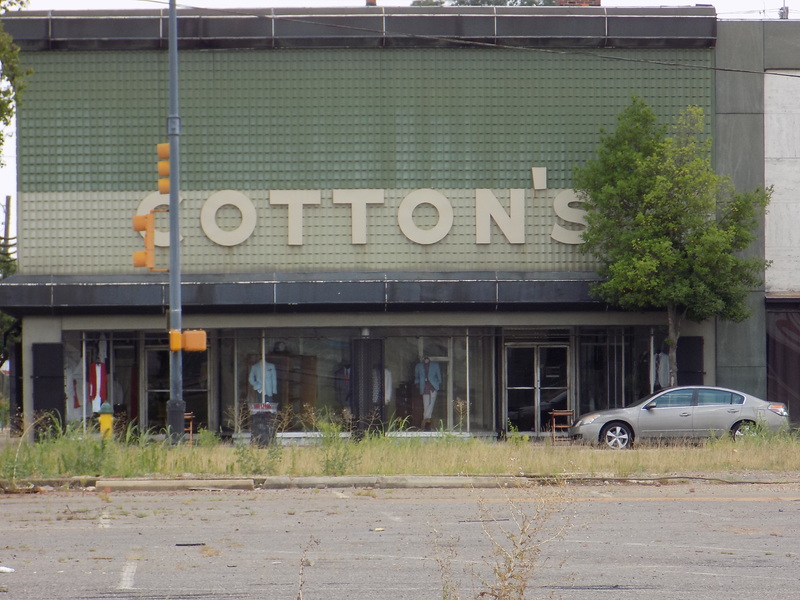 Mother still talks about shopping in Ensley as a young woman and I remember visiting Ensley department stores such as Cotton’s and Goldstein & Cohen with Mother and Grandmother when I was a little boy. Dad’s first job was at the poultry shop that Fred Trucks owned over on Avenue E. Marino’s grocery store, which operated then, still operates on Avenue E across from what used to be Ensley Lanes bowling alley. One could get a meat and three at Ensley Grill or “all you can eat” catfish at Catfish King’s Avenue E location in the building that was once the Franklin Theatre. In Catfish King, tables were set along each side of a center aisle on raised sections that once held rows of theatre seats and the stage was still there (the grand drape too, as I recall). These places were still around when I hit my teens. Dad’s childhood home, in drastically altered form, is still standing and inhabited on Avenue D but the house that Mother’s family lived in around the corner is gone. 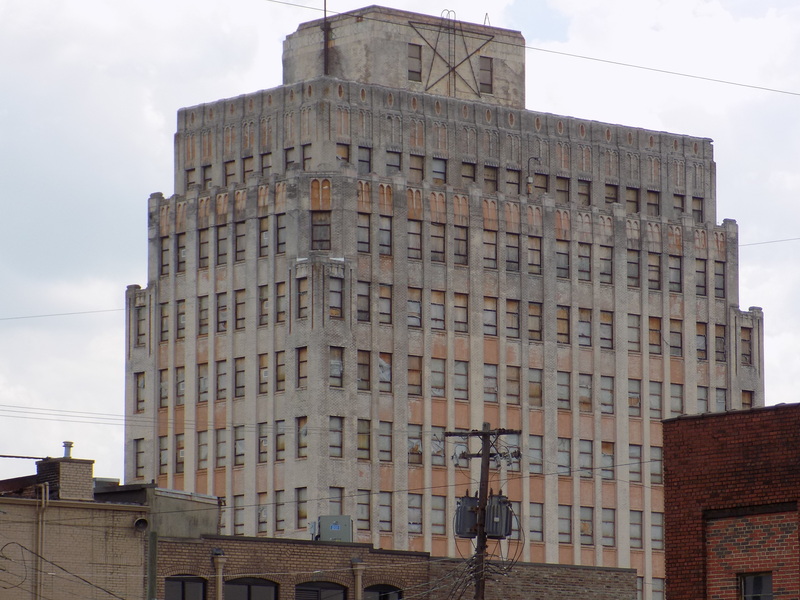 A house that was once owned by Mother’s grandfather, Houston McCarn – who lived in Cullman but invested in Birmingham real estate when the city was still young, still stands on the corner down the street from Dad’s house. It has been long abandoned. It is these ghosts of the past and the hope for community renewal that still draw me to Ensley. But my main draw these days is an ongoing fascination with the beauty and decay of the former Ensley industrial sites that were abandoned when the steel mills shut down. 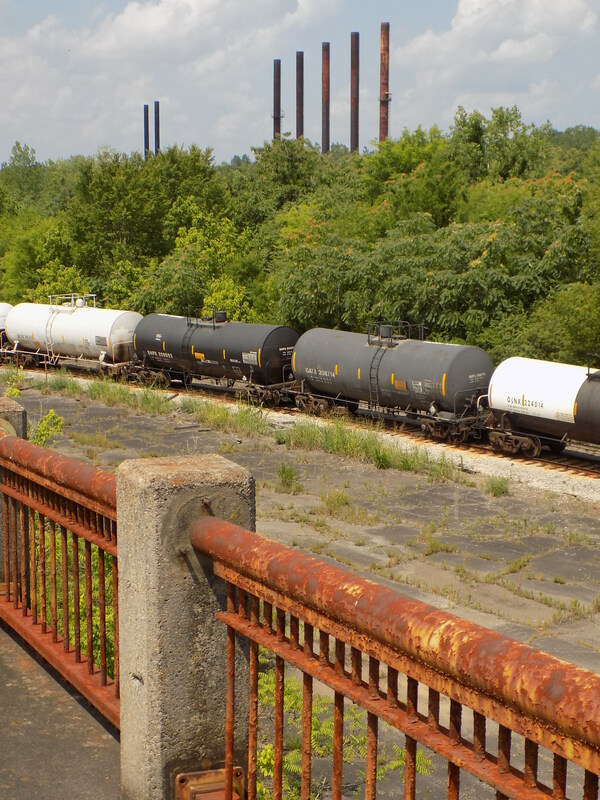 The railroad tracks are still active through the site and the viaduct over the tracks where 20th Street-Ensley becomes Birmingport Road heading out to the river is a good spot to linger and observe the buildings and remaining stacks that are being rapidly reclaimed by nature. 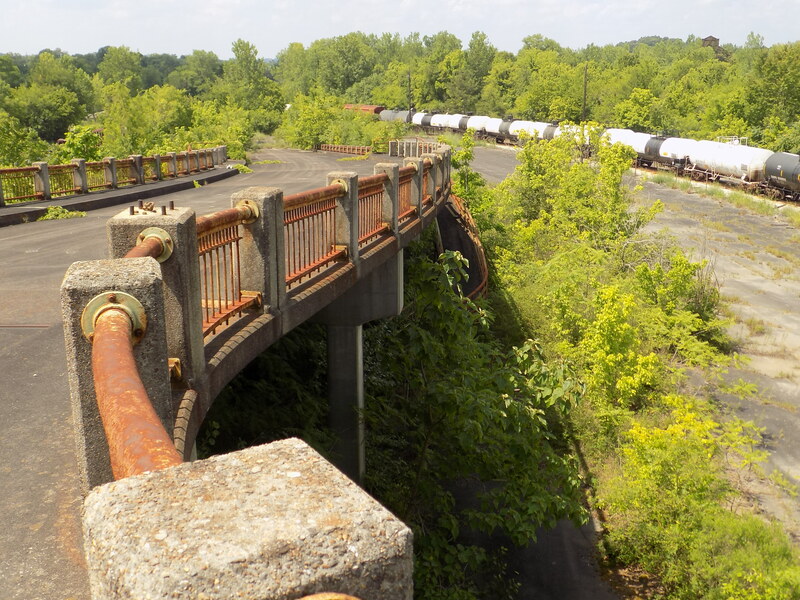 On a clear day, peering down from the middle of the Ensley viaduct toward Fairfield, you can see to U.S. Steel’s Fairfield plant where the remaining blast furnace was idled in 2015. Fairfield and Ensley steelmaking operations have gone from tens of thousands of workers at their peak to a few hundred at the pipe mill in Fairfield today. On a hot June morning, the mimosas are prolific at the Ensley plant. 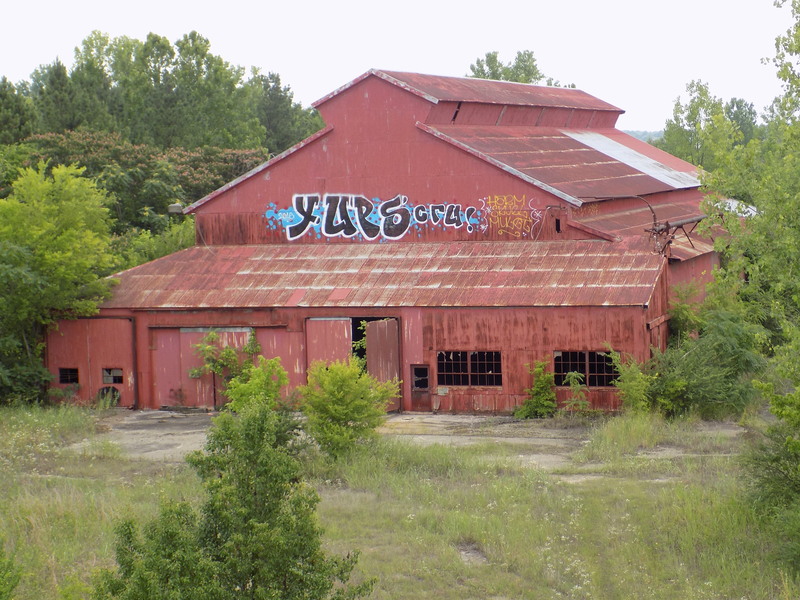 Rusty railings and sagging metal buildings with broken windows sit along abandoned roads that used to teem with trucks and industrial vehicles. The few remaining stacks stand tall amid the ruin and rubble. A train creeps through the site, taking loads to more remote locations that are not yet abandoned. In the modern post-industrial era, things come and go more quickly than in earlier epochs but, to me at least, these 20th century industrial remains have a pride and dignity equal to that of ancient ruins of early civilizations. The craggy, mineral-laden ground that now nourishes the mimosas, poke weed, kudzu, and wild vegetation of the Ensley ruins is the same ground that nourished my family in a recent past that seems impossibly far away. I will always go back to check on Ensley. This entry was posted in Ensley Alabama and tagged Alabama, Author Katherine Webb, Catfish King - Ensley, Cotton's - Ensley, Ensley Alabama, Ensley Grill, Ensley Lanes, Erskine Hawkins, Fred Trucks Poultry, Glenn Miller and his Orchestra, Goldstein & Cohen - Ensley, Grover and Jean Journey, Houston McCarn, Marino's - Ensley, Tuxedo Junction, U.S. Steel - Ensley, U.S. Steel - Fairfield, Who Is Ensley? - Weld on June 29, 2016 by gedwardjourney.